I had a snowy ride into work today–I did not enjoy waking up to see snow on the ground and big flakes in the air. When is this winter weather going to end!? I am ready for flip flops, spring coats, walks around our neighborhood and biking outside. Today’s work day was good. 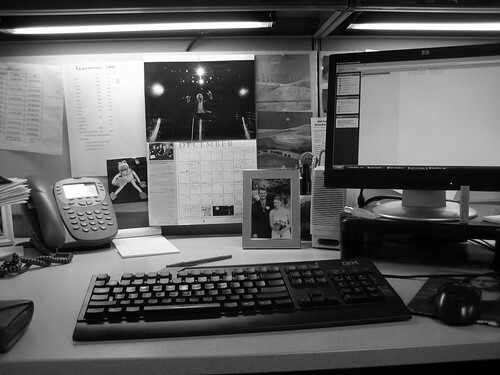 I was dependent on others to get tasks done and most of them were accomplished today, a day early. Love when that happens. 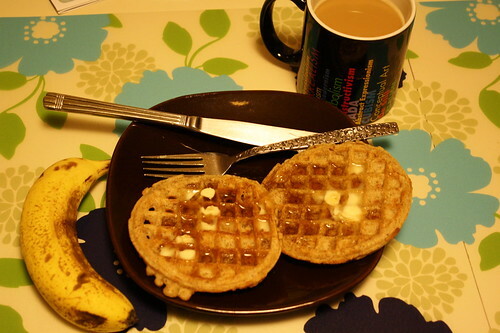 I started my day off with Eggo nutri grain whole wheat waffles and a banana. Snack at work was a trail mix bar, a kit kat and a latte. 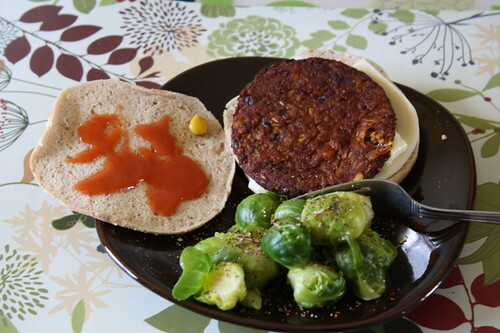 Lunch was a whole wheat tortilla filled with pintos, a bit of cheese and red peppers. 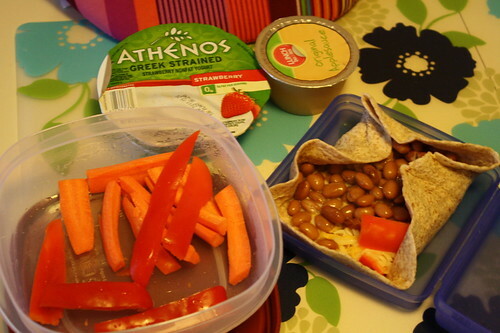 I also had more carrot sticks, red peppers, an applesauce and an Athenos strawberry greek yogurt. My verdict on these greek yogurts is that I do prefer Chobani over Athenos. I don’t think I am a big fan of the separate fruit filling that you have to mix in. 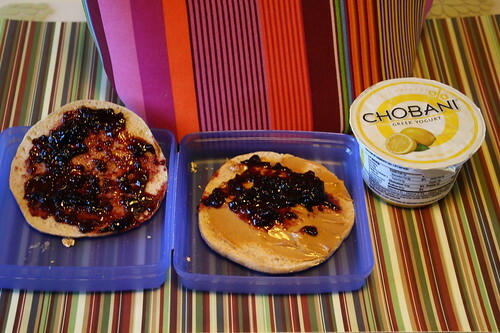 Don’t know why, but it seems that Chobani’s blends better. After work, I picked up Craig and we got dinner. He was getting his oil changed. His idea of the perfect dinner was McD’s. Mine, not so much. I had a bite of his chicken sandwich and was truthfully grossed out. 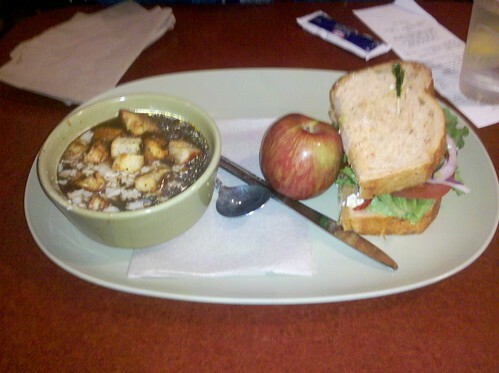 I opted to go to Panera bread and ordered a you pick two of french onion soup, a meditterean veggie sandwich and an apple. Much better! Tasted nice and fresh. Fuzzy picture courtesy of my husband’s Droid phone because I forgot my point and shoot camera. My husband went to a basketball game tonight with his sister and I was going to head to the gym and then relax. Unfortunately, I laid down for a bit and an hour and a half later, I had been out on the couch sleeping away like a baby. This is a sign I need to go to bed earlier once again. Speaking of, I missed my workout today as a result. So, maybe I should become a morning workout person more regularly? Check out this article from Women’s Day featuring healthy living bloggers on 10 morning workout motivators. I am trying to find that balance in my schedule and it may be better for me to get to bed early and get up early to accomplish my workout. 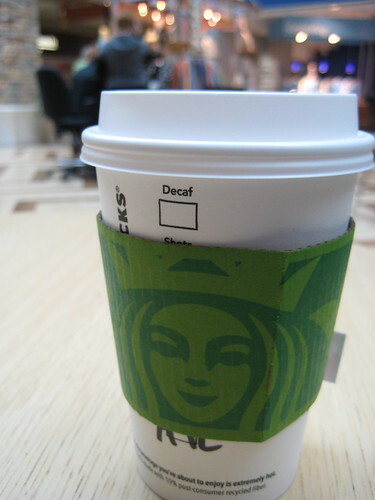 Rewind to yesterday afternoon and evening–I enjoyed an Awake tea with a pump of mocha (my friend told me she enjoys this combo and she was right, it’s tasty) and the new Starbucks logo was on my sleeve. I managed to get two cute t-shirts from Old Navy totally free (no tax or anything) because of a $10 coupon I got from my Banana Republic card. Now I get to spend that at Gap, BR and online too. 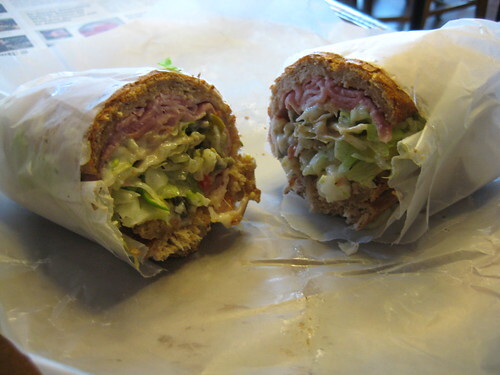 Dinner last night was Potbelly’s smoked ham and swiss sub. Then Craig and I went to the Guided Meditation class. It was interesting and I am glad we went. Basically, I won’t be using this type of meditation in the future, but I think visualizing through listening to a CD or podcast could work for some people over the technique I use. 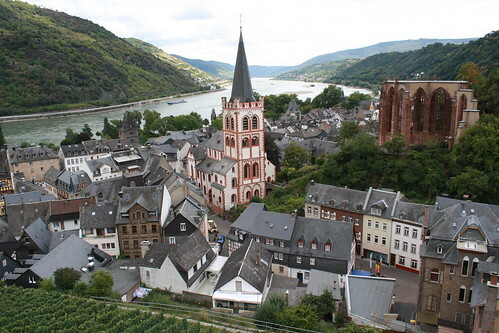 We meditated a couple of times in class and during one of the sessions, I was transported to Bacharach, Germany, looking over the city and sitting in the vineyards. 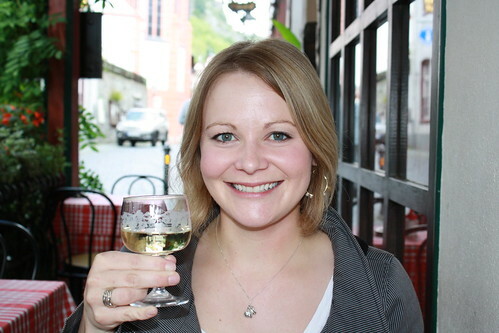 Bacharach was the first stop on our honeymoon in Europe a couple of years ago and it holds a special place in my heart, so it’s no surprise that my meditation session that involved picturing a place resulted in me going there. 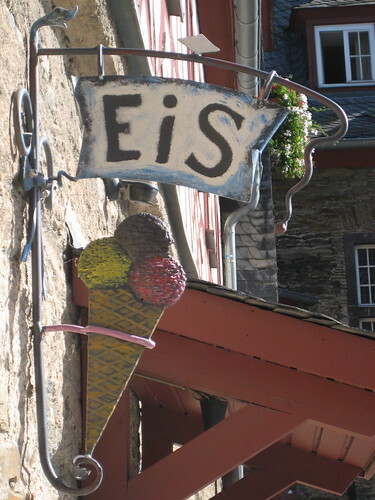 Aaah, I wish I could go there right now to drink some riesling and eat riesling gelato (which I really did and it was delicious). Anyway, back to reality. Bedtime is approaching and since one of my new goals is to get to bed earlier, I better go get ready. 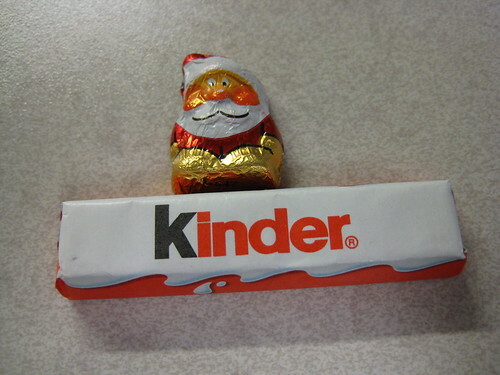 Hooray, my mini Christmas vacation has begun! I am happy to be leaving this scene for four days straight. 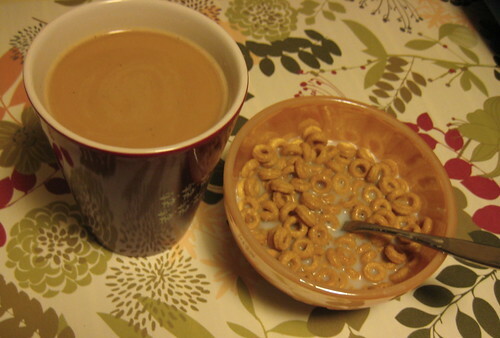 Breakfast was Banana Nut cheerios and coffee. I wasn’t feeling great today. 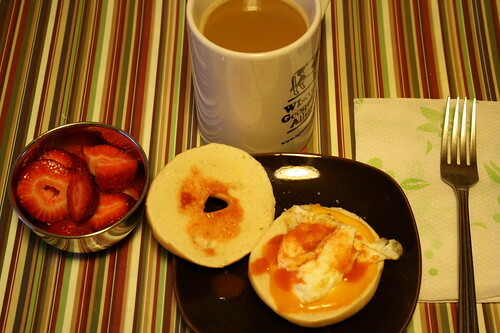 I had a headache in the morning and a tummy ache all day. 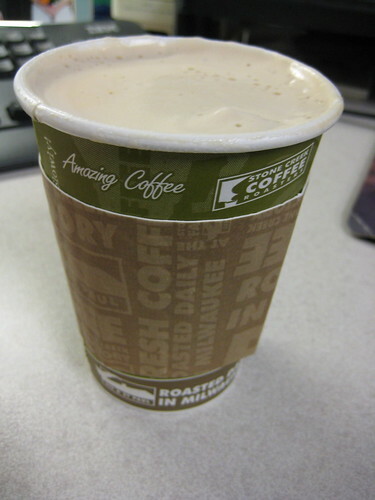 I grabbed a latte and that helped my headache. For lunch, I got out of the office and had Quizno’s. My stomach hurt all day, so just to be safe, I avoided meat and ordered a veggie sub on wheat. It felt good to take a little walk and not eat at my desk. I didn’t take a picture at Quizno’s because there were a lot of people around. I often think that if I had an iPhone or something, you wouldn’t even be able to tell I was taking a picture of my food. When I whip out a little camera to take a picture of a normal sub, I always think that people will wonder why I am taking a photo of something so mundane! 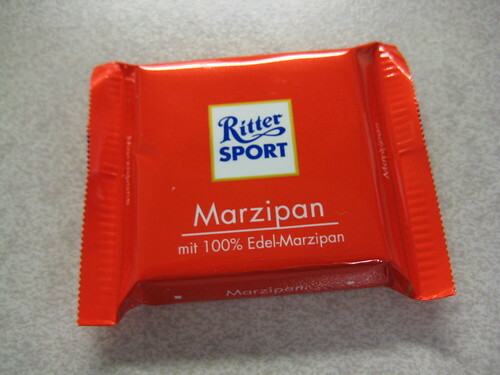 Dessert was German candy, yum! When I got back home from work, I was tired again and fell asleep on the couch, so I missed dinner and my usual Thursday night yoga class. I wasn’t that hungry anyway. I had a peach Chobani around 8 p.m. and that was all I needed. I finally know why I have been tired all week (girl stuff if that’s not TMI), but I haven’t been this tired with it in a very long time. We are headed to different family parties over the next three days. Tomorrow afternoon, my in-laws are hosting my mother-in-law’s very large family, then it’s back to their house on Saturday to celebrate with Craig’s paternal grandma who is in her early 90’s, and finally on Sunday, we celebrate with my side of the family. One of my sisters is coming down with her family from Minnesota and my two brothers and their families will be there, as they live in the Milwaukee area. Enjoy your holiday celebrations everyone!